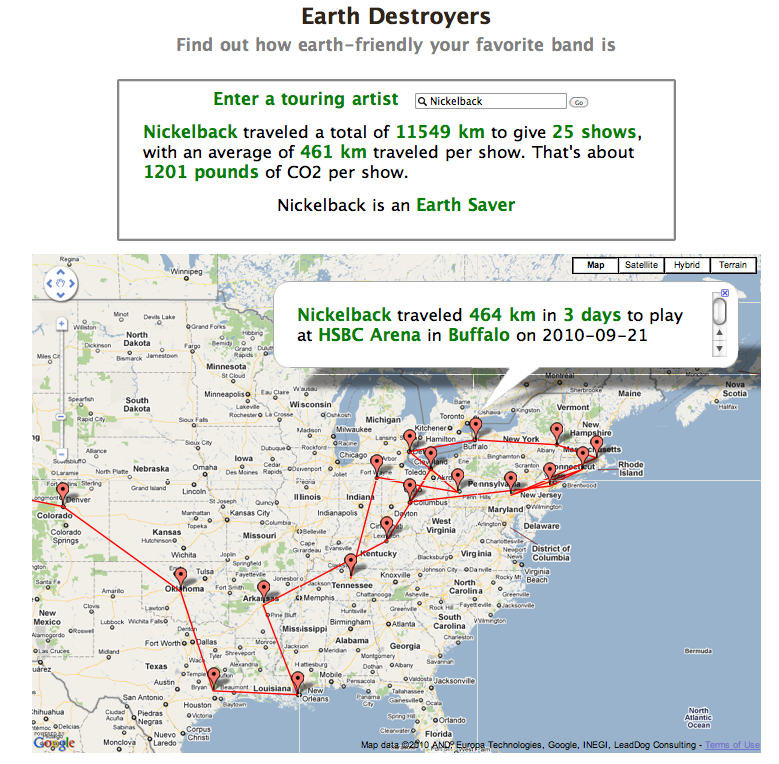 For my London Music Hackday hack I built a web app called ‘Earth Destroyers’. Give Earth Destroyers a band name and it will show you how eco-friendly the band’s touring schedule is. 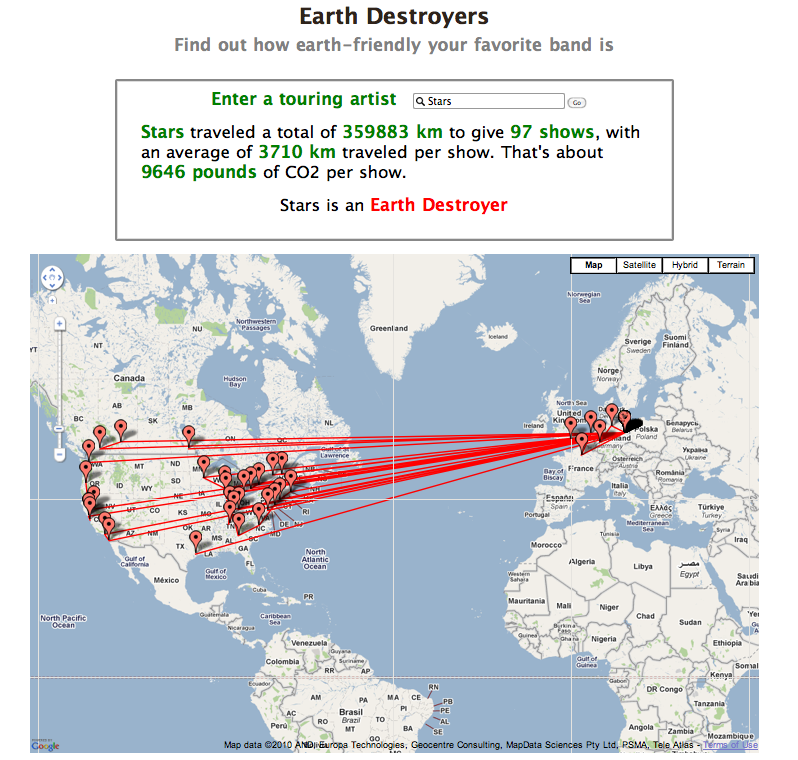 Earth Destroyers calculates the total distance traveled from the first gig to the last along with the average distance between shows. If an artist has an average inter-show distance of greater than a 1,000 km I consider it an ‘Earth Destroyer’. The app also shows you a Google map so you can see just how inefficient the tour is. To build the app I used event data from Bandsintown. This entry was posted on September 5, 2010, 8:59 am and is filed under Music, The Echo Nest, web services. You can follow any responses to this entry through RSS 2.0. Both comments and pings are currently closed.